I read a lot. For the last three years I have read upward of 100 books a year. One thing I’ve realised though is that those books aren’t always all quality books. This year on my quest to read well I am going to try and read fewer books but read more good quality ones. In the mean time I thought I’d share some of my favourite books from the last year. You’ll see that my favourites tend to be in the memoir genre, but you’ll find a few fiction and Christian living mixed in. 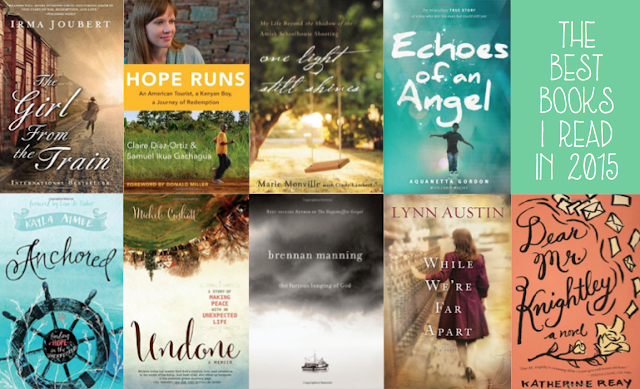 You’ll find many of these books won’t be on the latest releases shelves. This is because I try to save money on books (100 books at an average of $9.99 quickly adds up) by buying them cheaply or picking them up free on Kindle. All the descriptions of the books under “What it is about” come directly from Amazon book summaries. I’ve also included affiliate links here which means if you click on these links and buy any of these books through Amazon you’ll be helping me to be able to read well this year. What it is about: "You count a pregnancy by weeks and Kayla Aimee had only ticked off 24 of the 40 when she unexpectedly went into labor. She thought her church upbringing had prepared her for every circumstance but when swept into a story of suffering, we all find ourselves vulnerable, questioning everything we thought we knew as we wonder, “Where is God in this?”"
Why I’d recommend it to you: I love memoirs that are real, that open up a door for you to walk with a person through hard things and Aimee does this. 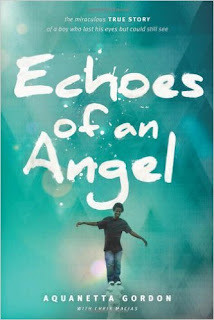 She manages to write with a mixture of vulnerability and humour. 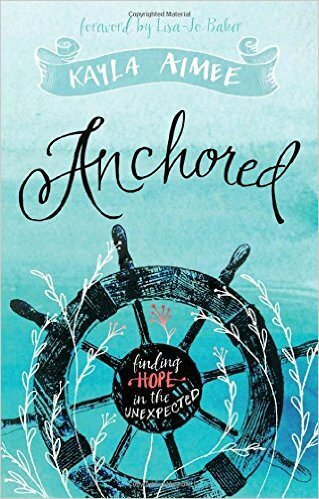 If you’ve ever wondered where God is in the midst of tough stuff than this book is for you. What it is about: "Renowned author and ragamuffin Brennan Manning presents a love story for the brokenhearted. For those who are burdened by heavy religion. For those who feel they can never measure up. 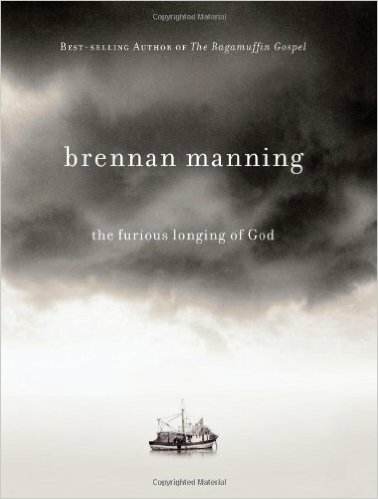 It is a provocative and poignant look at the radical, no-holds-barred love of our Heavenly Father. It is a message that will forever change how you view God." Why I’d recommend it to you: If you’ve read this blog last year you’d know that I’m a big fan of this book. I picked it up after not reading a non-fiction Christian book for a long time and it just spoke grace into my heart. I re-read it three or four times and would recommend it to you if we sat down over coffee and you shared your questions about whether or not God loves you and is for you. What it is about: "Undone is author Michele Cushatt’s quest to make peace with a complicated life. It is an honest confession of a diagnosis of cancer and the joys and disappointments of motherhood and marriage, ripe with regret over what is and, yet, still hopeful for what could be." Why I’d recommend it to you: To be honest for a long-time after Xylon’s cancer treatment was completed I didn’t read any books that mentioned Cancer. The pain and reality was too raw. This book is the first I read and I found a book with enough humour to ease the rawness of my own wounds and her story. I’d recommend it to you if you need to connect to God’s persistent, gracious love again. Why I’d recommend it to you: I originally bought this book for three reasons. Firstly, the author sounded South African. 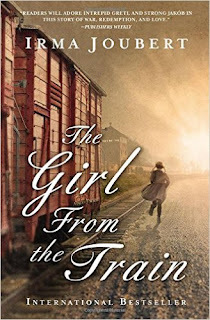 Secondly, the book was set in South Africa. Lastly, it was written by a best-selling author. I’d read this book again for so many reasons. It is a beautiful written story of war, redemption, language and love. It taught me more about the country I call home and helped me to understand some of the wounds my country carries. 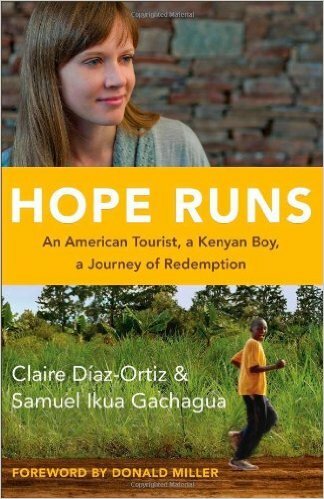 What it is about: Hope Runs is the emotional story of an American tourist, a Kenyan orphan, and the day that would change the course of both of their lives forever. It's about what it means to live in the now when the world is falling down around you. It's about what it means to hope for the things you cannot see. Most of all, it's about how God can change your life in the blink of an eye. Why I’d recommend it to you: This was the book that taught me how to pray when you want God to change your life. If you’re in a place in your life where you’re at a crossroads or if you’re just going through something that you don’t understand but want God to use it than I’d tell you read this book with an open heart ready to be challenged to live differently. What it is about: When Ben Underwood became blind at the age of two, anyone would have thought he faced a life full of hardship and uphill challenges―a world full of things he’d never be able to see and activities he’d never be able to enjoy. But as far as his mom, Aquanetta Gordon, was concerned, nothing was impossible for Ben . . . and so he accomplished the incredible. Ben mastered human echolocation―the ability to detect the size, shape and location of objects through the reflection of sound waves. By clicking his tongue and “seeing” the waves, Ben could ride his bike, shoot baskets, identify objects, and even play video games. Some called it a miracle, but to Ben and Aqua, the real miracles were the otherworldly experiences God gave Ben―physical and spiritual―that others couldn’t explain. Why I’d recommend it to you: This is a book that reminds you that nothing is impossible. Some of the things this little boy learns to do are beyond me. His mother’s attitude is such a gift. I read this a few months after my nephew was born with Down Syndrome and it made me realise that my expectations of him could be more limiting than having an extra chromosome. What it is about: In an unassuming apartment building in Brooklyn, New York, three lives intersect as the reality of war invades each aspect of their lives. 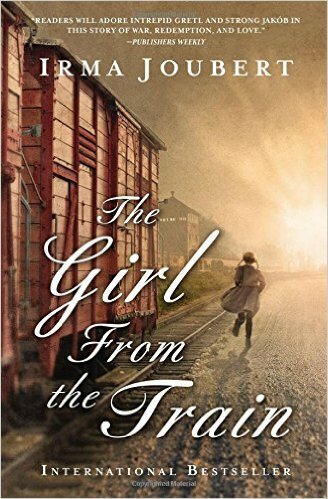 Young Esther is heartbroken when her father decides to enlist in the army shortly after the death of her mother. 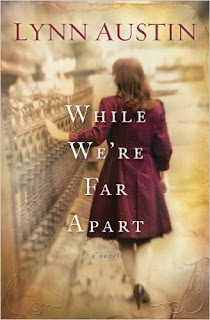 Penny Goodrich has been in love with Eddie Shaffer for as long as she can remember; now that Eddie's wife is dead, Penny feels she has been given a second chance and offers to care for his children in the hope that he will finally notice her and marry her after the war. And elderly Mr. Mendel, the landlord, waits for the war to end to hear what has happened to his son trapped in war-torn Hungary. Why I’d recommend it to you: If you’re looking for some well written fiction that will have you feeling like you know the characters you’re reading about I’d tell you to pick this one up. I also loved that the characters often experienced God as silent. I could relate to that. I think we all can. 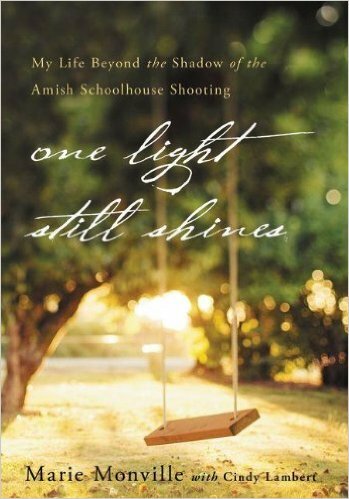 What it is about: In the startling tragedy of the Amish schoolhouse shooting at Nickel Mines, one story has never been told; Marie Roberts Monville, the wife of the man who created such horror, tells her story for the very first time. Within a solitary moment, Marie Monville realized that life, as she knew it, was over. What she never anticipated was a tangible encounter with God reaching into her circumstances, through them rewriting all she believed about herself, her faith, and the God she thought she knew. Why I’d recommend it to you: It's honest. Marie doesn't hide the parts of herself that I think I would hide in a similar situation. 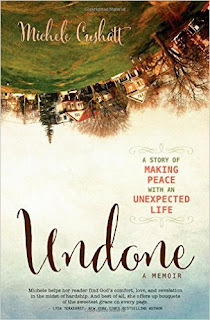 She faces her life - all of it - and manages to share how God found her on the good and bad days. What it is about: Sam is, to say the least, bookish. 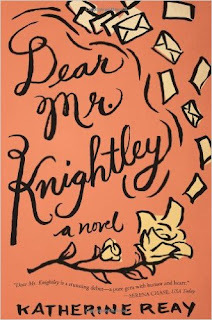 An English major of the highest order, her diet has always been Austen, Dickens, and Shakespeare. The problem is, both her prose and conversation tend to be more Elizabeth Bennet than Samantha Moore. Why I’d recommend it to you: This is not a new book. I’d heard about how great it was for years but was put off a little by the Austen references. I think I was given this book to read and I couldn’t put it down. It was nothing like I expected. I’ve since told anyone who asks for a light, well-written book to pick this up. Bonus: Katherine Reay's book Lizzy & Jane is on special for $1.99 on kindle. Not sure how long this deal will last though, so hurry! 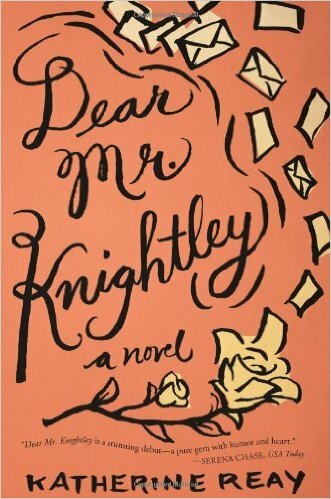 What were your favourite books in 2015 and why would you recommend them to me? Welcome! If you're new here and don't want to miss a thing, be sure to subscribe to I Love Devotionals blog updates. Thanks for visiting!